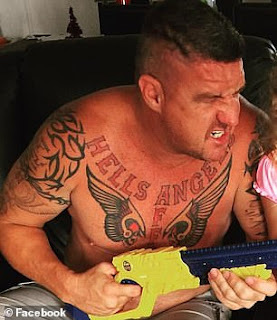 The latest from HA bikie Gregory Pearce is begging for money on facebook and elsewhere to pay for his lawyer. He is appealing to his bikie brothers and the public for financial assistance. “So I am asking all my FB friends and supporters to help support me to assist with my ongoing legal battle. If you’re an 81 Supporter (Hells Angel supporter), a dear friend or someone who believes in everyday working Australians having the right to support their family by working legitimately I ask for your help." 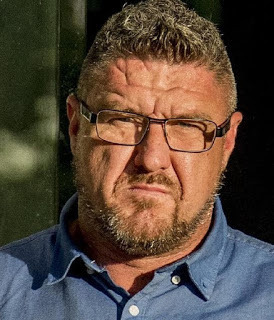 The now destitute bikie was targeted in a large money-laundering probe in July 2018. HA bikie boss Gregory Pearce was caught on camera sucker punching a man and kicking him into unconsciousness. Police described the attack as a 'cowardly assault' on a 'defenceless victim'. 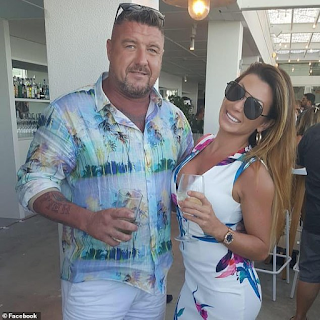 Pearce was charged with affray and spent the night in jail after his bail was refused.